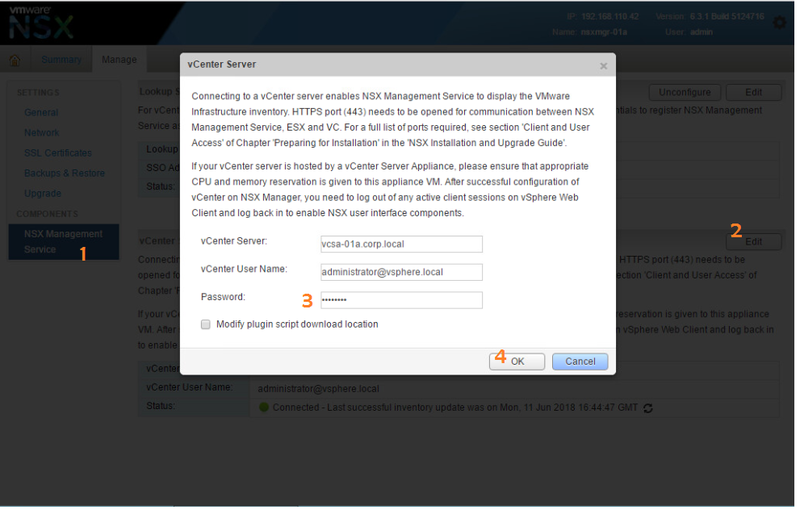 Scenario: What is impact of un-assignment of Enterprise Admin Role at NSX Manager from vCenter Admin which is used for vCenter Registration in NSX Manager? 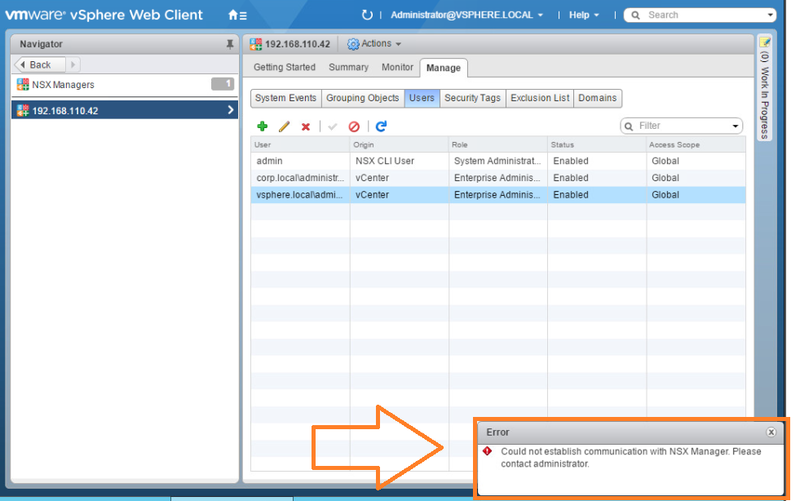 Immediately error message gets pop up "Could not establish the communication with NSX Manager. Please contact administrator"
To Fix this "I have re-connected my vCenter Server in NSX Manager Admin Console" by just entering the credentials again. Note: If this enterprise admin role is manually un-assigned from any other account to whom it was manually assigned then this will have no impact on NSX Manager. 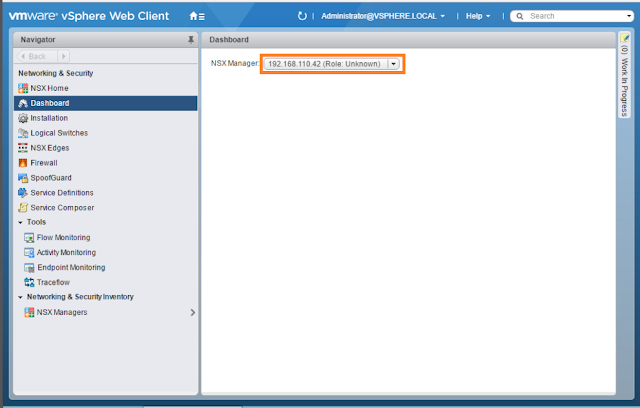 0 Response to "Impact of un-assignment of Enterprise Admin Role at NSX Manager from vCenter Admin"